Despite periods of volatility, the global bitcoin market remained calm this week, gaining 1% while fluctuating between $410 and $450. The digital currency was trading at $423.52 at 00:00 (UTC) on 26th February, up from $421.16 at 00:00 (UTC) on 19th February, according to the CoinDesk USD Bitcoin Price Index (BPI). What may be most notable, however, is the lack of a price increase given potential macro-economic instability in the eurozone. 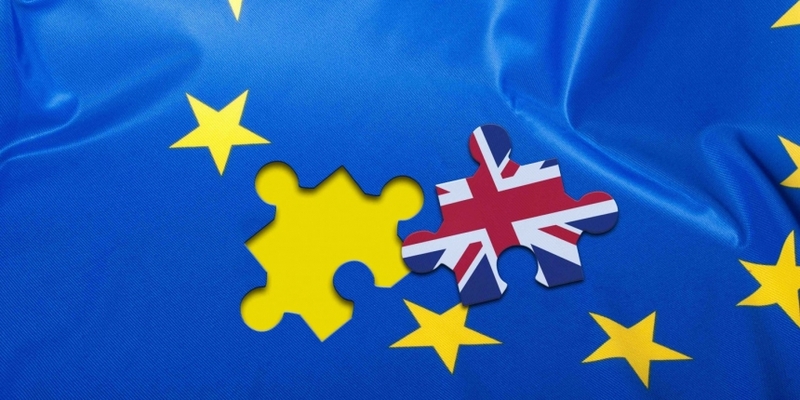 One geopolitical development that coincided with bitcoin’s price volatility was the possibility of a Brexit, which would see the UK leaving the 28-nation European Union (EU). 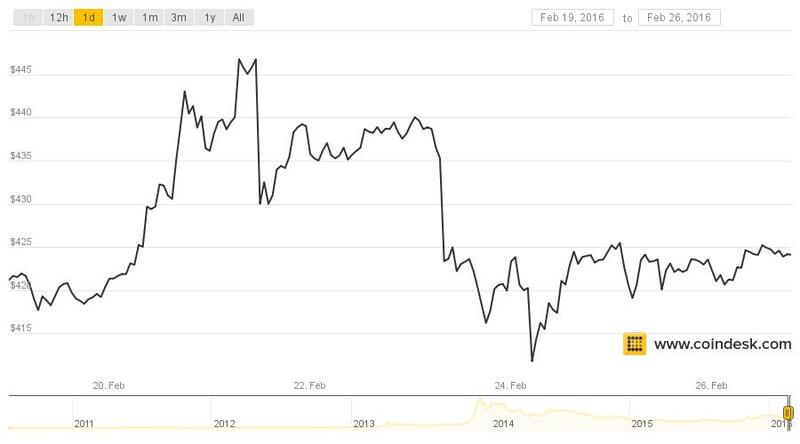 The event is of interest to traders given bitcoin’s historical response to similar events, rising substantially on the rumored ‘Grexit‘ in 2015 and emerging as an asset class in 2013 given its strong climb in response to economic uncertainties in Cyprus. Still, there were periods of turbulence in the latest trading cycle. The currency rose sharply on 20th February, appreciating to $443.02 by 18:00 (UTC), up from $421.33 at 00:00 (UTC) for a more than 5% gain. Bitcoin also climbed the following day, rising from $436.13 at 00:00 (UTC) to $446.74 at 07:00 (UTC). However, by 14:00 (UTC), the digital currency had fallen to $429.99. This price turbulence continued later in the week, as bitcoin dropped from $423.34 at 00:00 (UTC) on 24th February to $411.77 at 05:00 (UTC). The digital currency quickly recovered from this dip, rising to $424.45 by 15:00 (UTC). This compared to the seven-day period between 12th February and 19th February, when the digital currency rose from $377.82 to $421.69. 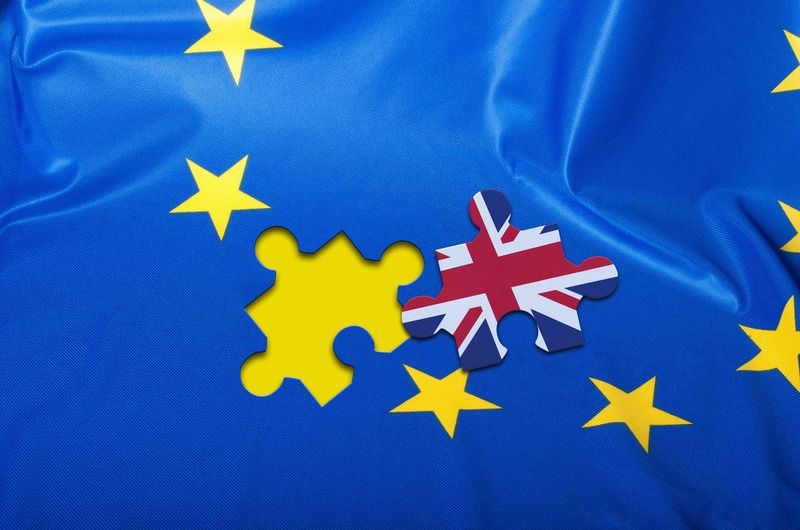 While UK citizens have long been skeptical of the EU, the tension surrounding the country’s participation in the political and economic partnership has thus far not been strong enough for the nation to break free. However, disrest has been growing, and a survey conducted in September showed 43% of participants thought the UK should remain in the EU and 40% believed the nation should leave. A separate poll done in February indicated 38% of respondents wanted to exit the 28-nation partnership, while 37% wanted to stay. Now, the nation is looking ahead to June 23, when voters will go to the polls and participate in a referendum to decide whether the nation stays in the EU or goes its own way. The anticipation surrounding this event has created significant uncertainty, which may be providing tailwinds for bitcoin prices. In times of market turmoil, bitcoin frequently enjoys a bump in price, as some consider it a safe haven. While the chance the UK might leave is likely placing upward pressure on the digital currency’s price, a Brexit would probably fuel sharper gains. Another high-profile matter that is coinciding with bitcoin’s price volatility is ongoing debate on how the bitcoin network should be scaled, which has been creating substantial uncertainty for the digital currency’s future. Earlier this week, developers and representatives of the bitcoin industry arrived at an agreement to keep working on Segregated Witness, a proposed change to bitcoin’s code, as a soft fork, with the goal of a hard fork to increase capacity in 2017. While advocates maintain that the plan would increase the capacity of blocks in the bitcoin network to as much as 4MB, Brian Armstrong, CEO and co-founder of bitcoin wallet and exchange service Coinbase, has been highly critical of the plan, writing in a blog post that it would not do enough to increase capacity. Armstrong is one a number of proponents of Bitcoin Classic, a proposal that would attempt to execute a hard fork sooner, a development some fear could split the network, creating two separate classes of tradable bitcoins. No matter how bitcoin’s stakeholders decide to organize, there will be challenges involved. Currently, the network is highly decentralized, which could be fueling inaction. Tim Enneking, the chairman of Crypto Currency Fund, a digital currency-focused hedge fund, spoke to this uncertainty, telling CoinDesk bitcoin is a “pure democracy” and predicting that “the bitcoin community is going to wait until the last minute and then compromise” on the hard fork. He stated that market optimism regarding addressing the hard fork helped fuel rising bitcoin prices, but the cause of this improvement was a press release stating the matter would be addressed. Later, the price pulled back 5% because no real progress has been made. While this volatility may seem undesirable to some, Enneking emphasized that it provides trading opportunities.